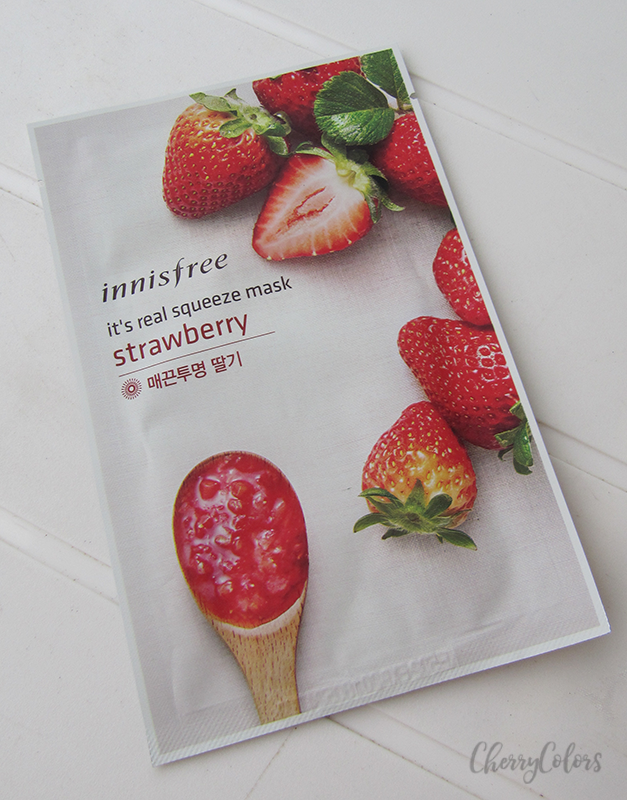 Review: Innisfree IT'S REAL SQUEEZE MASK Strawberry - Cherry Colors - Cosmetics Heaven! I love sheet masks. I truly do. 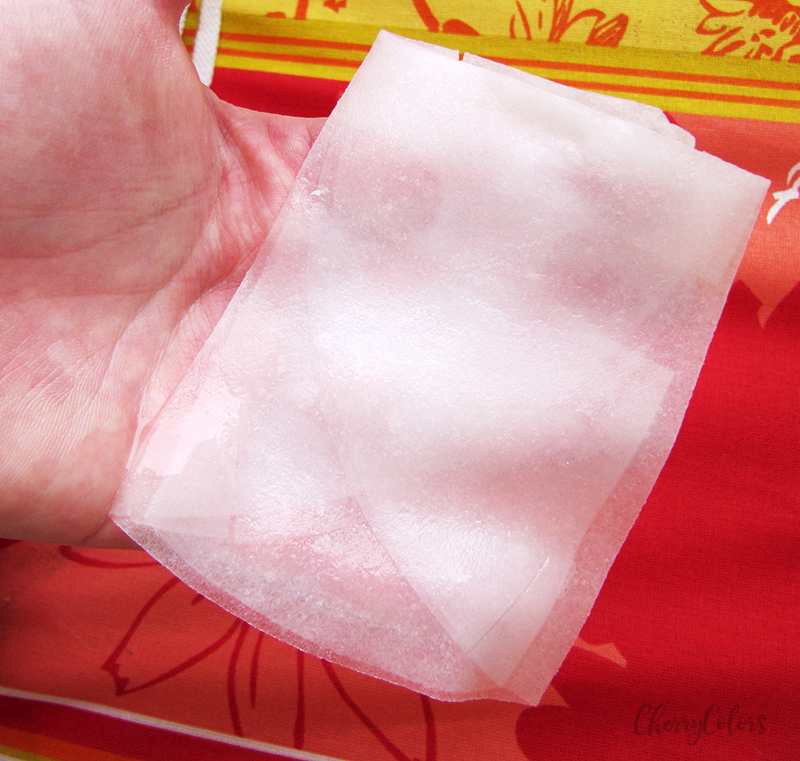 I find them to be a cheap and quick boost for your skin. 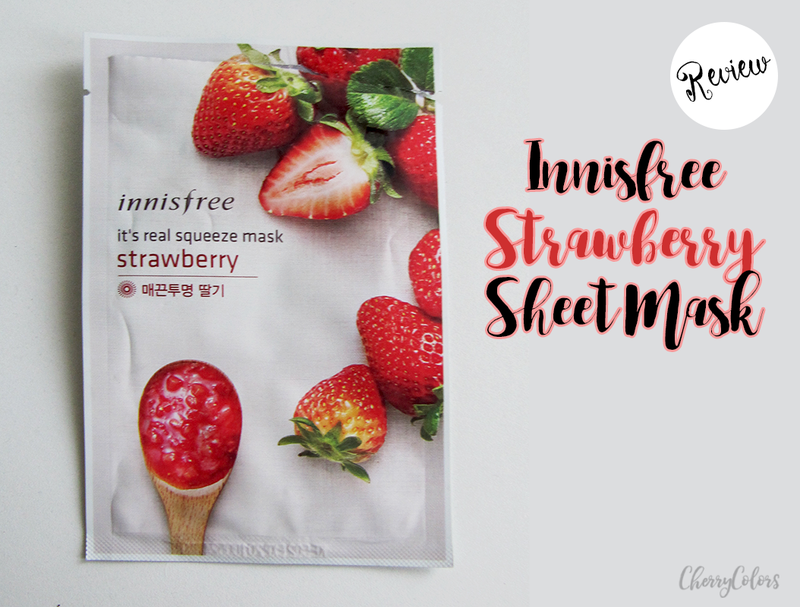 Today I'll be talking about the Innisfree It's real Squeeze masks. The mask comes in a bag,that has a lovely design on it. It makes me hungry :D.
The bag itself is easy to open and there is no need of scissors. It contains 20ml of the essence. 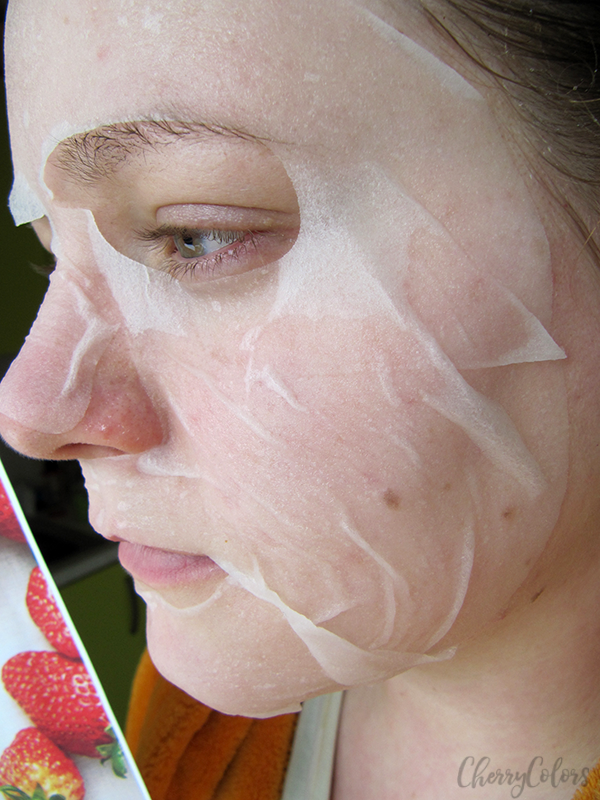 The mask itself is soft and compact so you can spread it and apply it on your face. 1, 2 and 3 and it's done. Really easy and there was no ripping of the mask. I found the mask to be ill-fitting especially at the width of the mask. But the cooling effect was lovely and I enjoyed wearing it (while laying down). As you can see, there were a couple of centimeters lacking for it to cover my whole face. I find that to be a shame but again, it was made with Asian face shapes in mind so I'm not even mad about it. I left it on for 20 minutes. I also noticed that the mask was drier on my cheekbones than it was on my forehead, but that must be because of my skin type - combination. I like this mask. It's nothing special but it did a good job at moisturizing my skin and removing some redness I had before use (due to irritation). I like the design of the packaging but I feel that it should be wider for my liking. 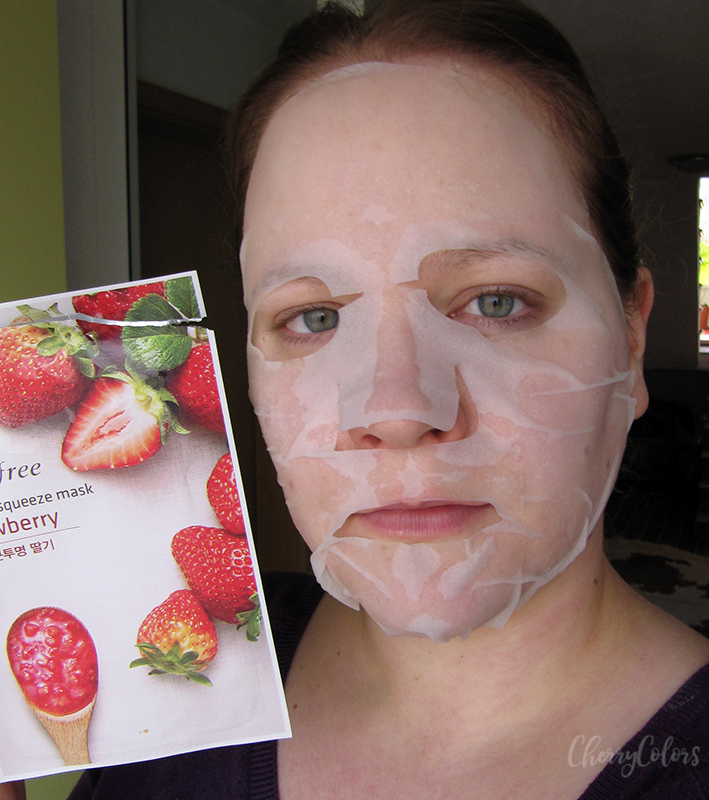 Overall it's an OK sheet mask, that falls in the mediocre but still working, range.